The Little Sisters' loving care of the poor and their accompaniment of the dying offered a counterbalance to the dehumanizing forces at work in 19th century American society. On August 30, the feast of our foundress, St. Jeanne Jugan, we Little Sisters of the Poor will launch a jubilee year celebrating the 150th anniversary of our Congregation's arrival in the United States. Our pioneering Little Sisters arrived in in America during a particularly painful period in our nation's history. The nativist movement of the1850s, the Civil War and the failures of Reconstruction left an enormous human toll, vast economic devastation and a profound racial divide in their wake. The Little Sisters personified the Church's preferential option for the poor and most abandoned. In the early decades of our nation's history, elders depended on their children or personal wealth to assure a comfortable old age. Poorhouses, modeled on England's "Poor Laws," sheltered the indigent elderly, but they were characterized by primitive, often subhuman conditions. 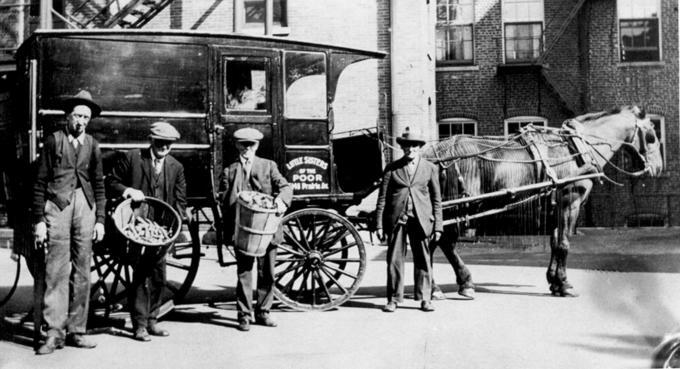 By the 1850s, benevolent societies and fraternal organizations began to organize old age homes and other forms of assistance for those able to pay monthly dues while they were young so that they could receive help in their old age. What was novel about the Little Sisters' mission was that they came to America specifically to care for those who could not pay their own way. The second mark of originality in the Little Sisters' charism of hospitality was its universal embrace. In a century characterized by anti-immigrant propaganda and blatant racial discrimination, the Little Sisters opened their doors to the needy elderly regardless of race, religion or nationality -- Catholic and non-Catholic, immigrant and native-born, black and white. Third, through their compassionate care for the infirm and the dying the Little Sisters offered a powerful witness of the sacredness of every human life until the very end, regardless of personal status, ability or wealth. The Industrial Revolution had encouraged a utilitarian mindset that treated human workers as machines and erroneously associated self-worth with status and wealth. Those perceived as unproductive were cast aside. 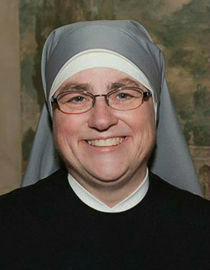 Finally, the Little Sisters of the Poor brought to America a powerful testimony to absolute faith in God's Providence. They arrived with almost nothing and set up shop in empty buildings, depending on the generosity of the local community to provide all that was needed for the care of the poor. On seeing all that the Sisters received in their first collecting rounds, the Mother Superior in one Home wept as she exclaimed, "O Providence! O Providence!" The Sisters in another Home expressed their sense of wonder, "Divine Providence provided according to our needs ... We were quite overcome with gratitude towards the good God; who disposed so well people's hearts in our favor." -- absolute trust in Divine Providence. These values are no less relevant today than they were in the post-Civil War era, for they also respond to the wounds in our 21st century culture and the longing in contemporary hearts for God's merciful love. In fact, these values might be even more urgently needed today, as Pope Francis suggests: "The thing the Church needs most today is the ability to heal wounds and to warm the hearts of the faithful; it needs nearness, proximity. I see the Church as a field hospital after battle . . . Heal the wounds, heal the wounds . . . You have to start from the ground up."